Straught from the NHRA website. With so much invested it would be hard to believe they wouldn't release it. I just sold a high dollar nitrogen funny car kit which I would have loved to setup and race if there was any kind.d of lessened locally. If anybody can boost popularity of a class, Traxxas can do it. Dang autocorrect. I don't have the patience to fix it all. The info was taken down because it was leaked by someone at Traxxas. Its not due to come out for some time. I'm all giddy about this one. Just so you know it was not leaked by someone at Traxxas. Picture was a scan from a ad in a July issue of a drag racing magazine. We scanned it and thats the picture thats been passed around. 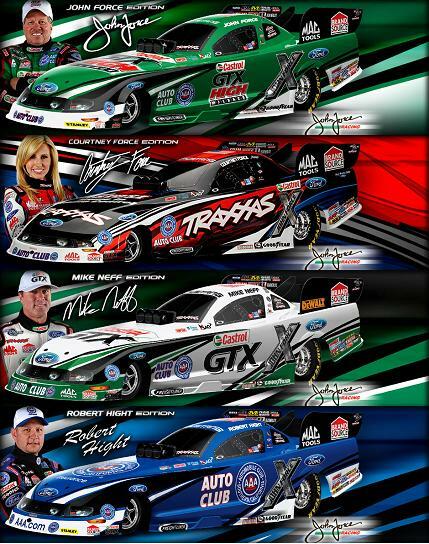 The traxxas web site does show you the pictures of all 4 cars but you have to be fast to capture them as it goes to a page stating "web page not avalable"
Here are pics posted by someone else who captured them from the site. Let's start debating now on what motor and everything else this rocket might have. It is Legit its on their website. Chasis is brand new looks sooooo scale. nice suggested retail of only $500. awesome! ...videos of this thing running anywhere???? I have never been interested in scale drag racing, but with this setup and this car, I am actually interested.